"A Beach Babe's beauty essentials are minimal; her healthy sun­kissed tan, loose waved hair and a beautiful lip color are all she needs." Bright Eyed & Bushy Tailed - Stay fresh, bright and cheery with this Post-Party Beauty Duo. Caramel Rose Lip & Cheek Stain, a versatile earthy rose addition to the long-wearing, multi-tasking lip & cheek stain formula. Our NYC Color Studio Clients often ask: What's the secret to a flawless face? The answer: Our Crème Concealer Foundation! Fall’s fave looks and must-have products inspired by the runway trends of New York Fashion Week for Fall 2010. Color, coverage, hydration, and nourishment! 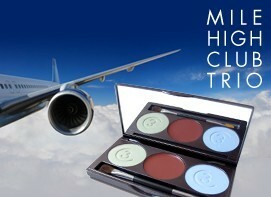 This summer, Three Custom Color Specialists debuts a new lipstick formulation GETAWAY. Chad Hayduk brings you his Do’s & Don’ts for creating a warm, sun-kissed glow without the harmful effects of the sun. 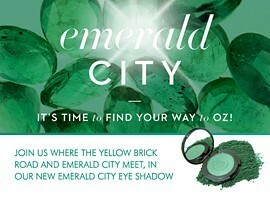 O Magazine dubbed Amped the Juiciest Color for Spring 2011 and in 2012 the trend is still alive and well! Spike your holidays with a splash of glitz! 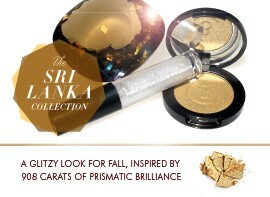 Makeup Artist, Marisa Fazzina creates a new shade of fun and spunky sparkle. Wish there was just one perfect shade to create a healthy glow for any occasion? 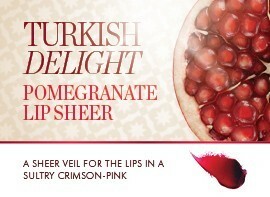 Simply beautiful - The ultimate universal shade for lips and cheeks! New York Fashion Week for Fall 2010 brought us a new, modern and sleek take on the smokey eye. Master the Smokey Eye Look! Rising star designer, Miles Ehan whips up lollipop lushness and cotton candy colors, with this tasty new collection. Bring out your inner Anastasia with this luxe look for fall. Inspired by Chad’s recent travels to magnificent Russia. A Century in Red Lip Color Palette - A classic collection of the most stunning reds of our time, featuring one shade for each decade. Summer is here and it’s time to shed that extra beauty bulk with products that can multitask like the best of us. Makeup must haves! Bring out the PRO or inner artist in you. Get the inside scoop on what the pros use. Ski Bunny Lip & Cheek Stain - This sheer cherry balm with a swirl of shimmer gives a youthful fresh-off-the-slopes glow for all ages. Hot off the runways for Fall ‘08 - “Wallflower” Watercolour for Cheeks: a dewy shimmering beige for an alluring better-than-bare look. Something for the boys! Our Co-Founder and resident Men's Grooming Expert, Chad, shares his star studded tips and tricks. Taking a cue from the red carpet, the beauty gurus at OK! Magazine have come up with the perfect palette to achieve a glamorous glow. Miami Glamour - Poppy Lip & Cheek Stain and Peacock Eye Shadow reflects the vibrant and modern style of Miami. With the help of our makeup artist friends, we set out to design the perfect universal shade for lips & cheeks - Simply Beautiful. Gorgeous on all skin tones! 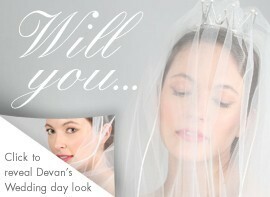 This sheer, faintly shimmering color wash brings a fresh, natural glow to your cheeks. Light & Dark Travel Trios - A collection of shades for all skins tones packaged in our Trio Compact for a flawless look on the go! A collection for all skin tones that will make even Moms with the most hectic lifestyles look fresh and pretty in minutes! What famous set of lips now has a new favorite eye shadow to use for her doe eyes? Glam it up with this snow white shadow. Presenting a new sheer lipstick collection inspired by the SHOWTIME® original groundbreaking series THE L WORD. What’s Old is New Again - Bringing Back 80’s DayGlo. Enhanced with sheer brightness, let the natural beauty of your lips shine. This Holiday Season, light up the room with NEW! Mood Lighting Shimmer Cremes - a sophisticated take on sparkle! "The Starlet Muse Lip Collection is for all women who want to look and feel gorgeous like a Hollywood Starlet." Best-Selling Author/Makeup Artist Robert Jones and Three Custom Color Specialists make magic with this stunning new collection. Introducing a stunning color collection inspired by paradise on Earth - the secluded Seychelles islands off the east coast of Africa. The look for Spring ‘09 is Bronzed, Soft, & Sultry. Introducing Whisper for lips. Available in Sheer Lipstick and Lip Gloss.